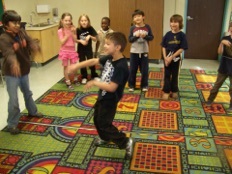 Orff-Schulwerk is an approach to teaching music to children that developed in Europe. 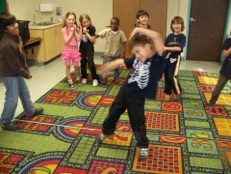 It encourages learning through creative play, movement, songs and chants, and game playing – in other words activities that kids are already enthusiastic about. 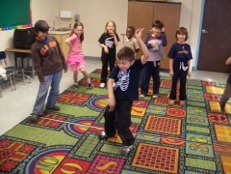 In Orff, students create much of the material they perform. As a result, they tend to be more invested in what they are doing and the connections they make are more meaningful to them. Orff is especially well suited for public elementary school music programs because it provides all students with chances to be successful. The process produces almost continuous feedback for the students and teachers. This makes assessment and differentiated instruction easier to achieve. The de-emphasis on direct instruction in favor of active problem solving allows students with limited English language proficiency to participate fully and also provides opportunities to reinforce math and science skills. And because folk music and world music are a source of much of the repertoire, there are numerous opportunities to extend classroom learning in language arts and social studies as well. For more information you may visit the website of the American Orff Schulwerk Association.